Why the turf? Turns out it’s warm –– and perfect for shivery climates. Like Iceland. 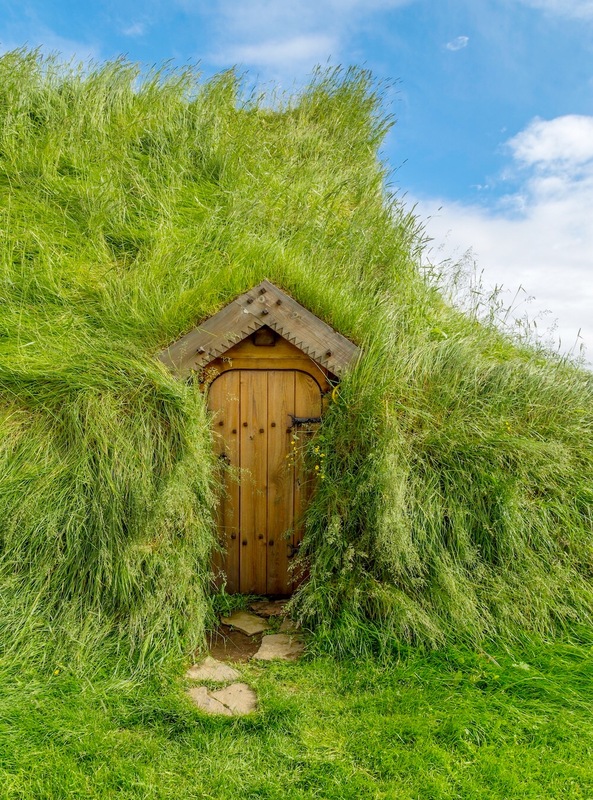 We’re talking Icelandic turf houses, an architectural tradition dating back to the ninth century. Long before environmentally-friendly construction became popular, people in Iceland were constructing turf houses –– dwellings built into the earth –– to protect themselves from the bitter polar winters. Made of turf, wood, and stone, turf houses houses are dug into hillsides perfectly blending in with the landscape, gorgeous and green with equal parts form and function. So why turf and not other building materials? With a limited supply of wood in Iceland, turf was an ideal and effective alternative. And a proven warm one at that. Just ask any den-digging bear headed for hibernation.